We think that with rational thought and support from others telling us what to do that we can get out of our problems. 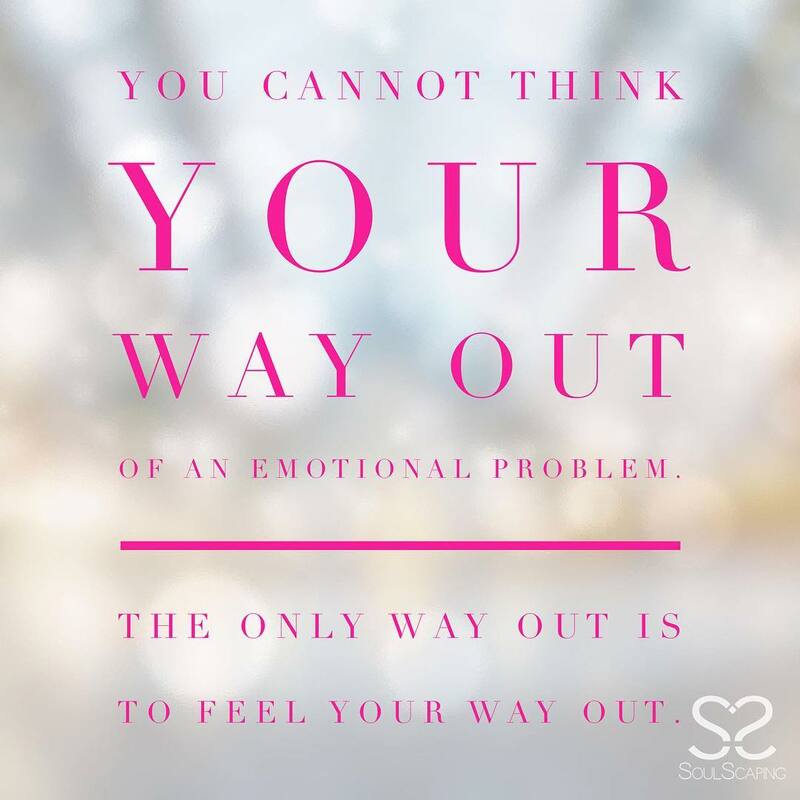 That if we just put our minds to it and we think about it more and more while we disconnect from our emotions and pain, we will be able to find a solution. But what ends up happening is that we continue to build the problem and resist any suggestions other caring people give us. This is because the problem is not created in our brain. We are smart enough to know better. So why don’t we do better? Because when we don’t feel better, we don’t behave better. In order to heal any trauma or undesired behavior such as self sabotage, self hate, over eating, addiction, or any emotional issue, you must heal it in the heart. You can’t out think it.Because the problem does not live in the mind. But when you face the behavior straight on and feel your way through the core issue and get deep down to the root of the needs you are trying to fill, then you can reprogram the body and mind. Then you start to shift your behavior, your response to what happens to you. From this space, your heart space, you start to get results toward what you really want. To put yourself into your heart space close your eyes, put your hand on your heart, and just breathe in slowly and exhale slowly for 4-6 counts. Focus on your heart and imagine yourself breathing through it. What have you resisted feeling your way through? 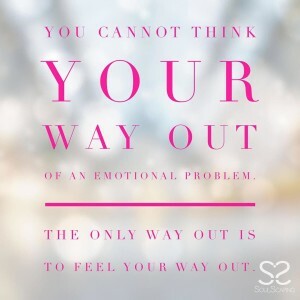 What feelings have you avoided or stuffed deep down so you would not have to face them? What stories have you told yourself to keep you from feeling those emotions? What if you used your heart instead of your mind? What would happen if you honored the real fear or emotion underneath? What is your heart really calling out for? What need? If you acknowledged this need, what would life be like then? Allow the answers and emotions to surface, to work their way through. Take the learnings they give you along the way. Give yourself positive way to fill those needs and emotions. The more you can do this for yourself, the more you can start to create the life you desire.